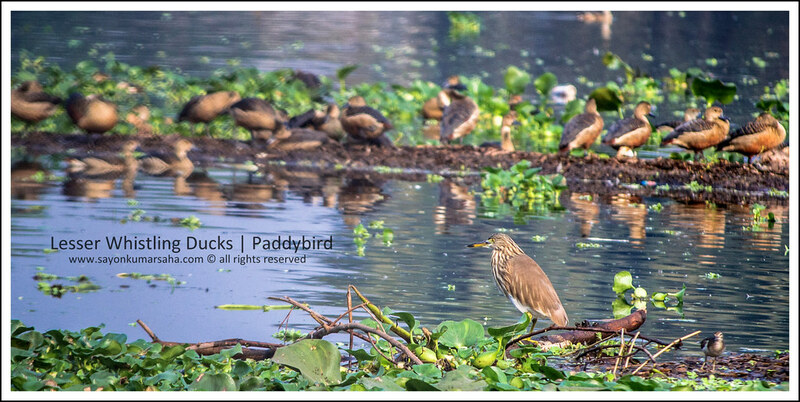 Birds in the photographs: Lesser Whistling Duck and Indian Pond Heron (Paddybird). 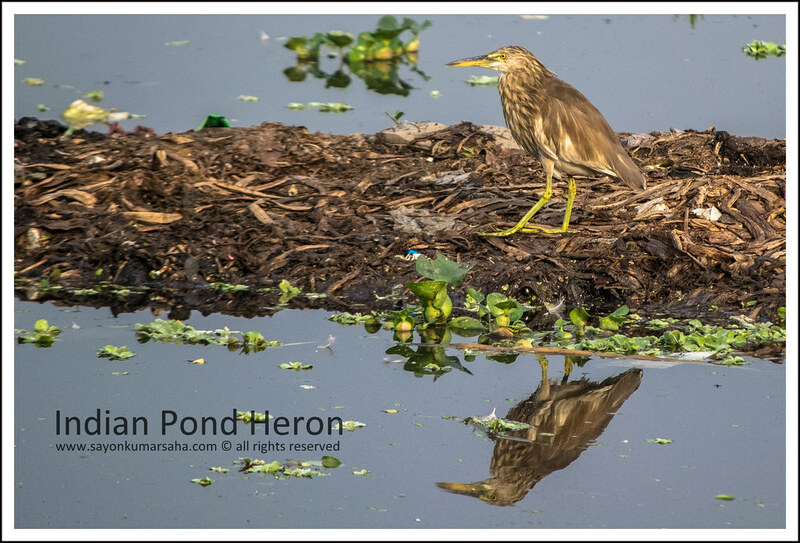 Location: Santragachhi Jheel (Santragachhi is a neighbourhood of Howrah city in West Bengal, India. It has a railway station which is a railway junction on theSouth Eastern Railway. 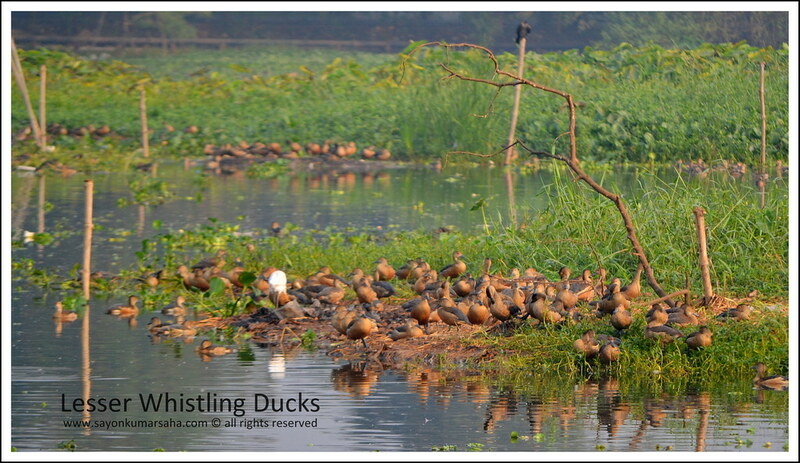 There is a large lake here named Santragachhi Jheel which attracts migratory birds such as Lesser Whistling Duck in the winter months). 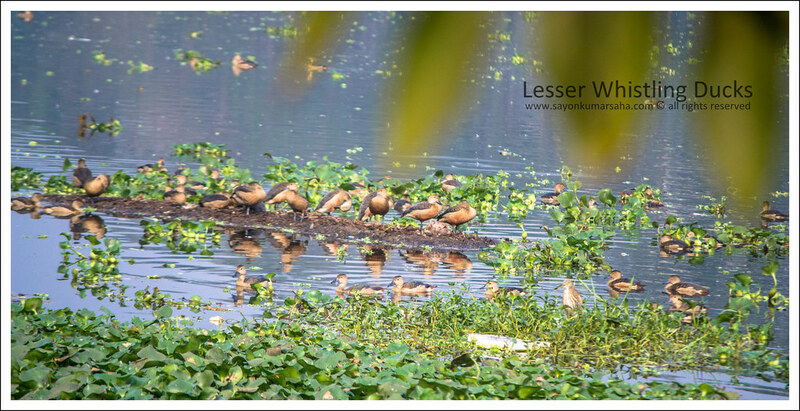 The Lesser Whistling Duck (Dendrocygna javanica), also known as Indian Whistling Duck or Lesser Whistling Teal, is a species of whistling duck that breeds in the Indian Subcontinent and Southeast Asia. 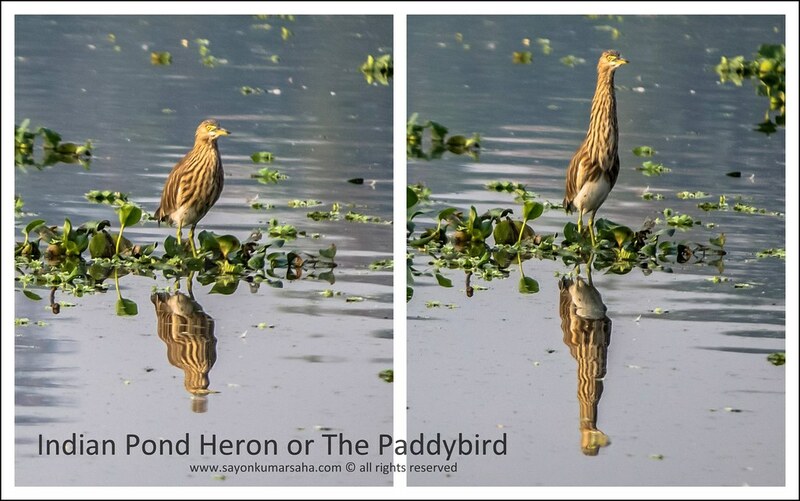 They are nocturnal feeders and during the day may be found in flocks around lakes and wet paddy fields. They can perch on trees and sometimes build their nest in the hollow of a tree. This brown and long-necked duck has broad wings that are visible in flight and produces a loud two-note wheezy call. It has a chestnut rump, differentiating it from its larger relative, the Fulvous Whistling Duck, which has creamy white. 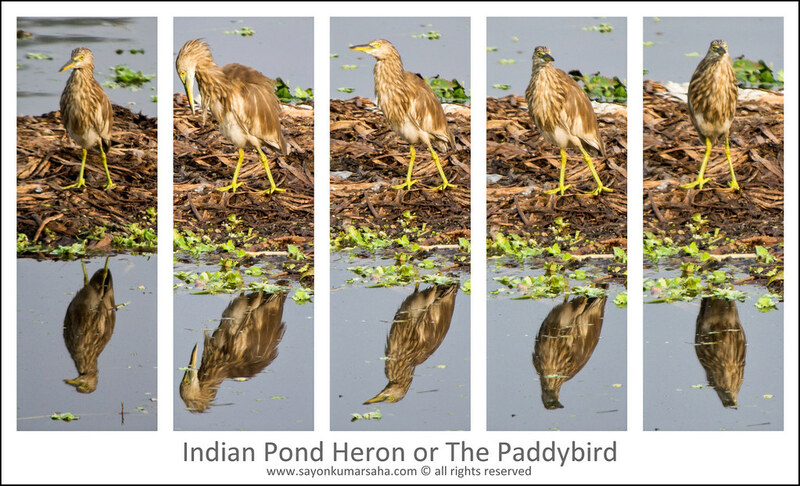 The Indian Pond Heron or Paddybird (Ardeola grayii) is a small heron. It is of Old World origins, breeding in southern Iran and east to India, Burma,Bangladesh and Sri Lanka. They are widespread and common but can be easily missed when they stalk prey at the edge of small water-bodies or even when they roost close to human habitations. They are however distinctive when they take off with bright white wings flashing in contrast to the cryptic streaked olive and brown colours of the body. Their camouflage is so excellent that they will close approach before taking to flight, a behaviour which has resulted in folk names and beliefs that the birds are short-sighted or blind.